BandLab helps musicians to discover, collaborate and develop their sound, leveraging version control, available on iOS and web apps. Groove delights your customers with personal support across every device, integrated widgets and full-channel ticket management. SquadLocker brings the tailored look of professional sports to teams of all sizes through mass customization, team stores and fundraising. 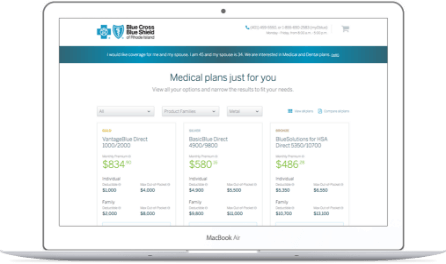 Blue Cross Blue Shield leverages technology, data and design to provide members with personalized plans and an experience that delights. RegOnline allows event planners to create custom event websites, enable registration, payment and lodging integrations, reporting and activation marketing to run high-quality events. Incubated within Harvard University's venture program ("Harvard Innovation Labs"), Accelorithm's adaptive learning algorithm optimizes learning capacity and efficiency, empowering students learning in the science and medical fields. Lanyon creates cloud-based, web and mobile software for the hospitalities, meetings and events industries, focussing on the event management lifecycle, content and spend management. Countr's social commerce platform collects the products you love from across the web into a single, centralized eCommerce experience. As your reputation on Countr grows, so does your "Counterweight", giving you access to exclusive perks from your favorite brands. Complimenting traditional, clinical health systems, Docent Health fills the personal care experience gap, focussing instead on the non-clinical patient experience. Specialized staff capture "soft" data at each touchpoint to map the patient’s “journey” collaboratively and in real-time. Blue Cross Blue Shield of Rhode Island is the market incumbant in the Rhode Island medical and dental insurance space, offering cost-effective, high-quality healthcare through its direct pay and medicare product lines. 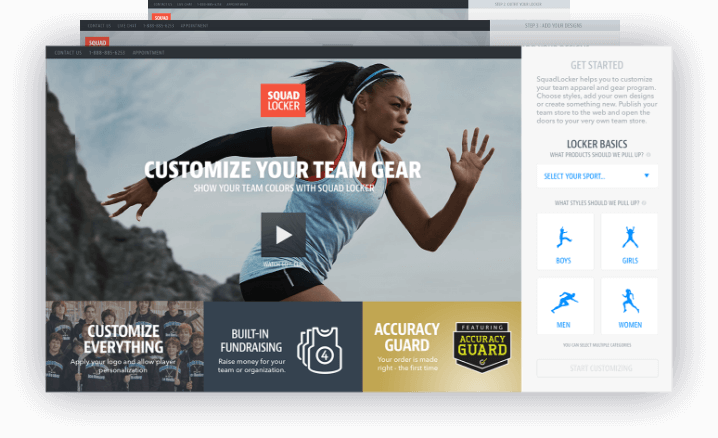 SquadLocker brings the tailored look of professional sports to teams of all sizes through mass customization, online team stores and passive fundraising features. ETS Laboratories was founded in 1978 to support the local winemakers of St. Helena, CA (Napa Valley) providing tailored, high-quality analysis programs. Nearly four decades later, ETS Labs is the market-leader and "gold standard" in laboratory testing, serving some of the biggest names in the business, helping them to perfect some of the world's finest wines, beer and spirits. United Way of Connecticut is one of more than 1700 community-based, network organizations operating worldwide. Focussing on wellness, education and income, the United Way of Connecticut office is amongst the most progressive, leveraging technology to improve the efficacy and accessibility of its services. The Kenna Security platform enables threat and vulnerability management by integrating with the industry's leading scan data providers (inc. Qualys, Nessus, Rapid 7). Kenna analyzes your network’s unique vulnerability posture against 8 different threat feeds, enabling security practitioners and managers to intelligently plan and report on the company’s security fitness with confidence in near real-time. We code the way machines read - not the way we intuit. Jeet allows you to express your page grid the same way a human would describe it. No more needlessly nesting elements. No more rigid twelve column rules. Build faster with less code, and more flexibility with Jeet. You can think of Teespring as the Kickstarter for clothing, making it easy for anyone to create and sell clothing, with no cost or risk. Amatuer makers, designers and culturists can upload their artwork to the Teespring platform. The designer chooses the clothing they wish to imprint, sets a purchase price, and in minutes their online store is launched on Teespring. After a specified quantity of units have been pre-ordered by customers, the sale is approved for production. Teespring then manufactures and ships orders to purchasers, giving the designer the difference between the customer purchase price and the unit cost agreed to by the designer. Aetna is a leading provider of diversified, managed health care benefits and a member of the Fortune 100. It’s mission is to create a healthier world through the sale of traditional and consumer directed insurance plans and related services, including medical, dental, behavioral health, pharmaceutical, long-term care and disability plans. Healthagen, a division of Aetna, supports Aetna’s mission, providing health management solutions and health information technology products to enable greater value-creation, coordination and visibility into health care. BandLab is a global community that connects musicians, makers and fans, enabling people from all over the world to connect, collaborate and make music together. 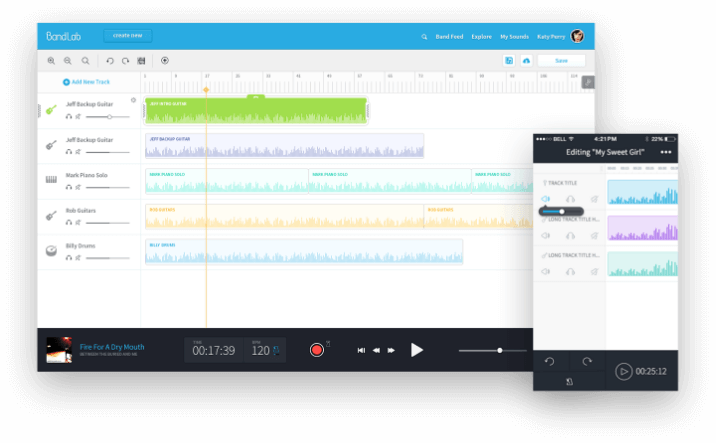 The platform offers an easy-to-use solution for the modern musician, blending the feature familiarity of a cloud-based DAW with the flexibility of version control. Savant is the ultimate experience in luxury home automation, connecting entertainment, lighting and climate control to enable the most discerning homeowners to curate their most distinctive spaces. 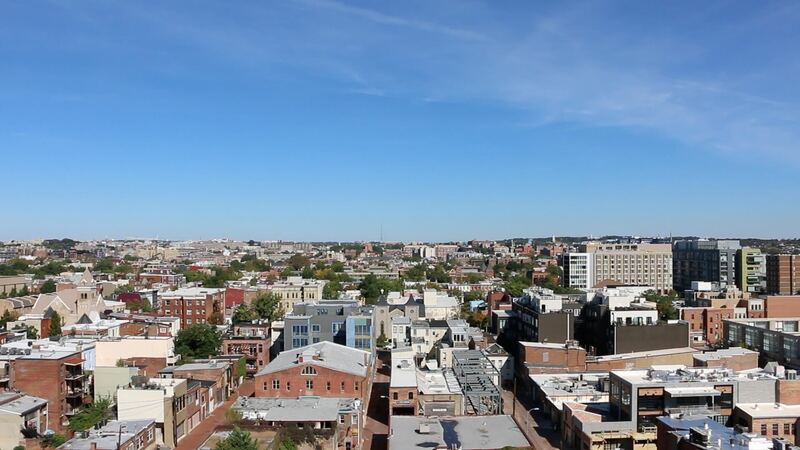 Mobee uses mobile technology and crowdsourcing to collect the world’s offline data in real-time. Mobee's native mobile and web solutions provide global brands, retail and asset management firms with powerful insights into their operational, promotional, product and training efficacy. Allocate is a SaaS-based scheduling service that leverages Backbone.js (Marionette.js) and Rails, enabling teams to collaboratively schedule anything from human resources, inventory and events – all in real-time. The product was developed internally as a "scratch one's own itch" project within MojoTech in Spring of 2013. PINCHme enables consumers to try products from the world's leading CPG brands for free in exchange for their feedback. With over 2.7 million users, PINCHme provides some of the worlds largest household brands with a platform to get new products into consumers' homes, gather valuable information from target segments, and build strong relationships with new and existing customers. Velocity provides training, event management and engagement services to distributed enterprise workforces through its native mobile and web platform. The closely held product and parent company, Vertical Performance Partners, was acquired by Mobiquity in Spring of 2013 for an undisclosed sum. Papercheck is a San Francisco-based company that offers document editing and proofreading services, especially to academic users, connecting customers with expert, domain-specific editors through the firm's global network of editing and proofreading professionals. The company delivers highest quality services at reasonable prices, offering a menu of expedited turnaround times. The GroupMax 2 web platform enables enterprise and third-party event planners to create branded booking portals for their events with curated hotel inventory, modular web site components and a multitude of 3rd party integrations. Tracelytics enables robust, full-stack web application performance management to DevOps, engineering and IT teams within organizations of all sizes. 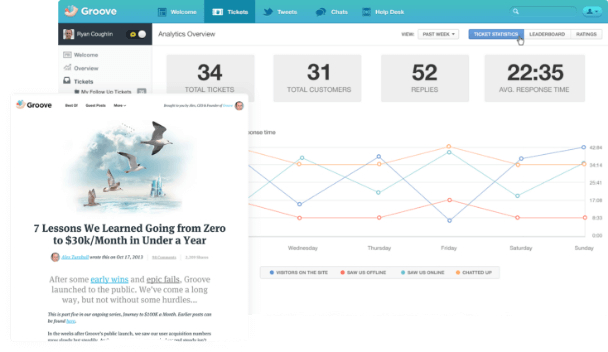 Groove provides simple, integrated help desk and live chat, empowering small teams to deliver personal support to every user, across customer support channels – mobile and desktop.